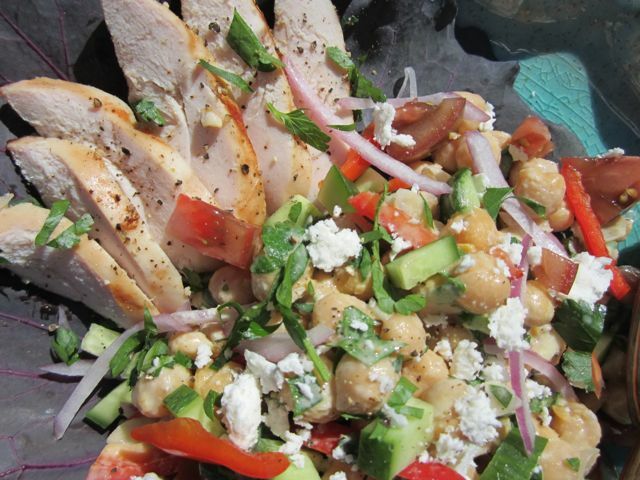 if you love a juicy and herbed chicken dish, try this! 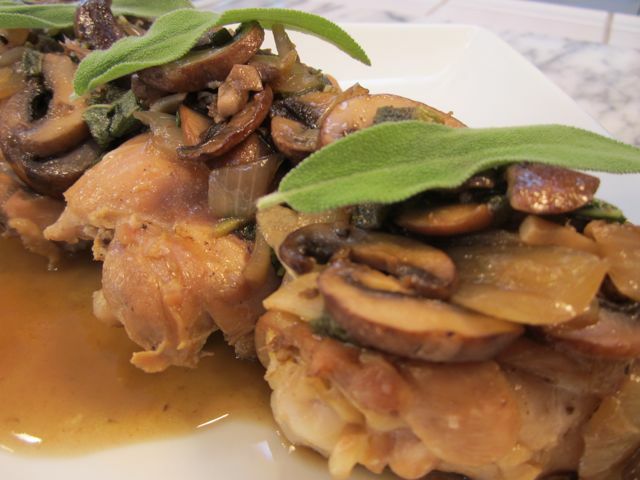 serve chicken thighs and mushroom/sage sauce over polenta, quinoa, couscous or risotto and garnish with a whole sage leaf. NOTE: i prefer to serve this very juicy chicken/mushroom dish over soft polenta. i keep the polenta preparation simple by adding caramelized shallots and shaved asiago or crumbled gorgonzola. either of these cheeses pair nicely with the sage/mushrooms.